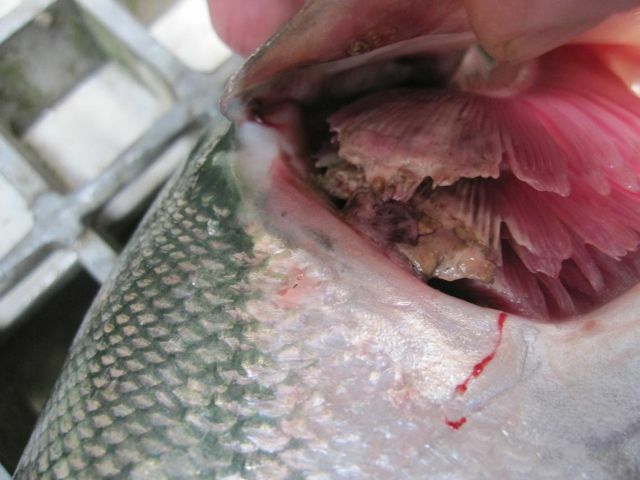 In response to rising water temperatures and alleged inaction by federal agencies, Pacific Northwest groups are filing to sue the U.S. Environmental Protection Agency to take action and prevent heat-driven fish kills. "For over 15 years the federal government sat on its hands instead of meeting its obligations to protect Idaho's endangered salmon and steelhead," said Idaho Rivers United Executive Director Kevin Lewis. "We're giving them 60 days to start the process, or we're going to take them to court." Last year, scientists recorded the warmest year on record, and hot water killed 250,000 adult sockeye salmon in the Columbia and Snake rivers. The groups, including Columbia Riverkeeper, Snake River Waterkeeper, Idaho Rivers United, Pacific Coast Federation of Fishermen's Association and the Institute for Fisheries Resources, said that can't happen again. They filed a notice of intent to sue the EPA on Monday, Aug. 15. If the agency does not finalize a pollution budget -- called a "total maximum daily load" under the Clean Water Act -- w­ithin 60 days or agree to a settlement, the groups will seek a court order compelling the agency to issue the pollution budget in order to protect salmon from hot water. The public-interest law firm Advocates for the West represents these groups pro bono.